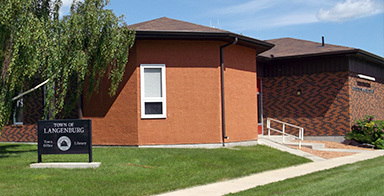 Located in Centennial Park the Langenburg Swimming Pool is open June to August. The 3ft-10ft outdoor heated pool with a diving board and a paddling pool highlights fun in the summer sun. Everyone should come out for public swimming, pool parties, aquasizes, and rubber duckie days as an exciting way to cool off! Located in Centennial Park, Langenburg has a small mobile skate park. can be challenged for a fun afternoon. 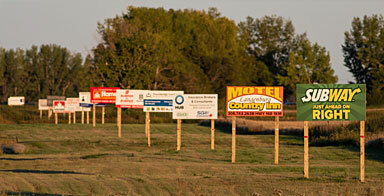 See Langenburg's NEW Parks page! A beautifully renovated home, the Homestead museum is the place to delve deeper into the Langenburg past. For interests or inquiries please call, Kay Klopstock @ 743-2625 or the Town office @ 743-2432. The arena is a modern artificial ice facility. It accommodates hockey games, tournaments, canskate and public skating. 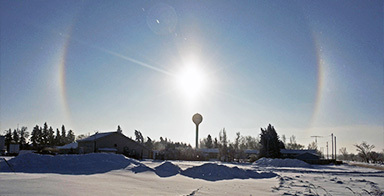 Approximately a 30 minutes’ drive from Langenburg is the largest ski area on the prairies. Featuring 25 ski runs, 3 chair lifts, 4 tube runs, carpet rides, ski lessons, Chalet and much more! They are open from Mid-December to the beginning of April. A splendid stop along the beaten path. Enjoy the play and picnic area, complete with washrooms. Make sure to take a picture beside Goliath, the world’s largest swing! 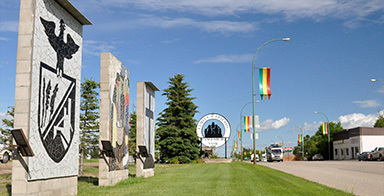 Each of the four pillar tile mosaics reflect an aspect of Langenburg’s history, agriculture, business, and culture. The pillars are located on the North side of the highway, framing the existing parking lot and rest stop area. 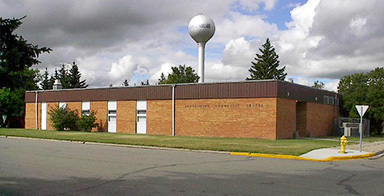 Located 15 minutes from Langenburg on Highway 8, the park features a nine-hole grass-green golf course. It offers a full menu clubhouse, washrooms, shower facilities, and a fully-licensed lounge. The park has 38 electrical campsites and 20 non-electrical sites. There are two man-made lakes, stocked with pickerel for catch-and-release fishing. The valleys and lakes join to create many wonderful adventures at Asessippi. This beautiful provincial park offers excellent walleye fishing, water skiing, and boating. Asessippi offers beach, picnic areas, and hiking trails. The park also includes electric, non-electric camping sites, along with showers. For more information click here.